This is the perfect top for showing off those curves. 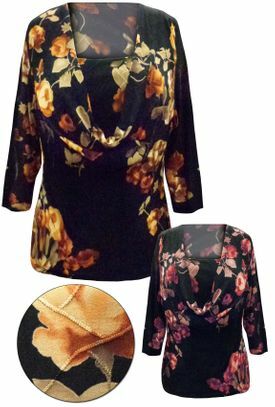 The print is a pretty floral print on a black background. 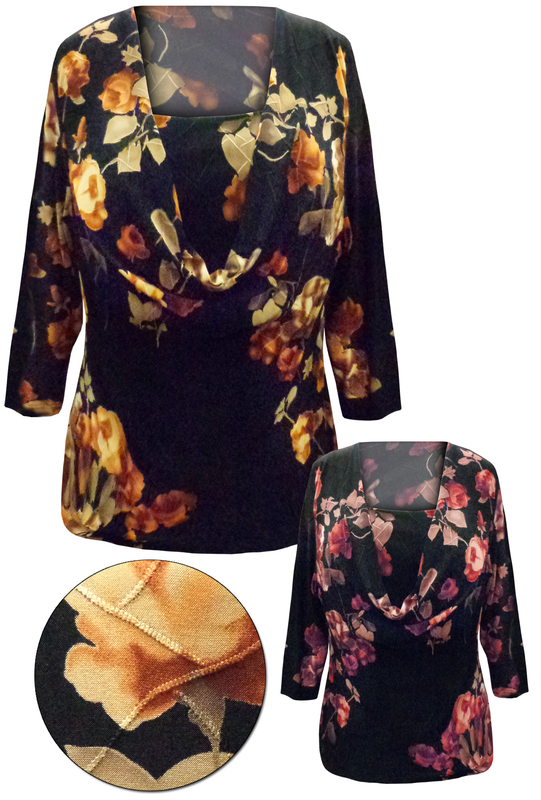 Top features a flattering cowl neckline, 3/4 sleeves and a straight hemline with side slits. Pair it with a solid color skirt, pants or jeans for either dressy or casual look. M - Chest: 40" | Hips: 40" | Length: 24"
1x - Chest: 46" | Hips: 50" | Length: 25"
2x - Chest: 51" | Hips: 53" | Length: 26"
3x - Chest: 54" | Hips: 54" | Length: 27"